I'm sharing some more pictures of our road trip late last summer. 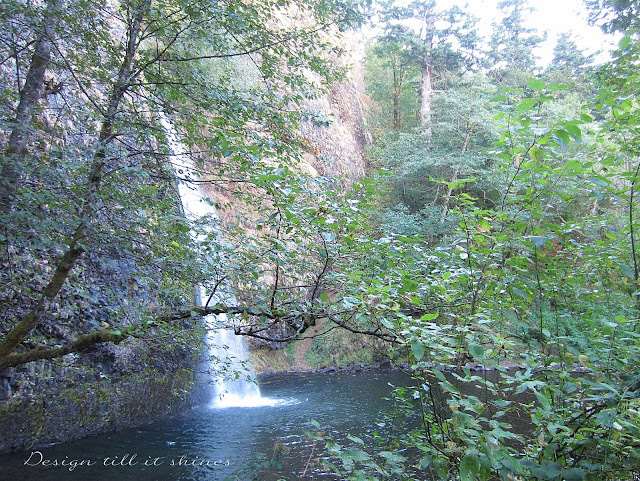 We visited the Oregon coast, Columbia River Gorge and all places in between. One of our visits was to the beautiful Multnomah Falls near Portland. We've visited here several times, but this was the first one with my new camera, so I was more than happy to try it out. There were quite a few people at the falls that day, so I didn't really get any pics of the beautiful Lodge located next to the falls. I've added several links in this post so you can find out more about this area. They have a great website of the Lodge located here. 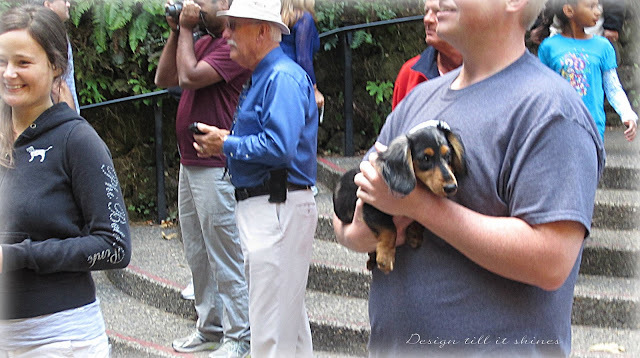 Hubby and I were in for a couple of surprises that day. 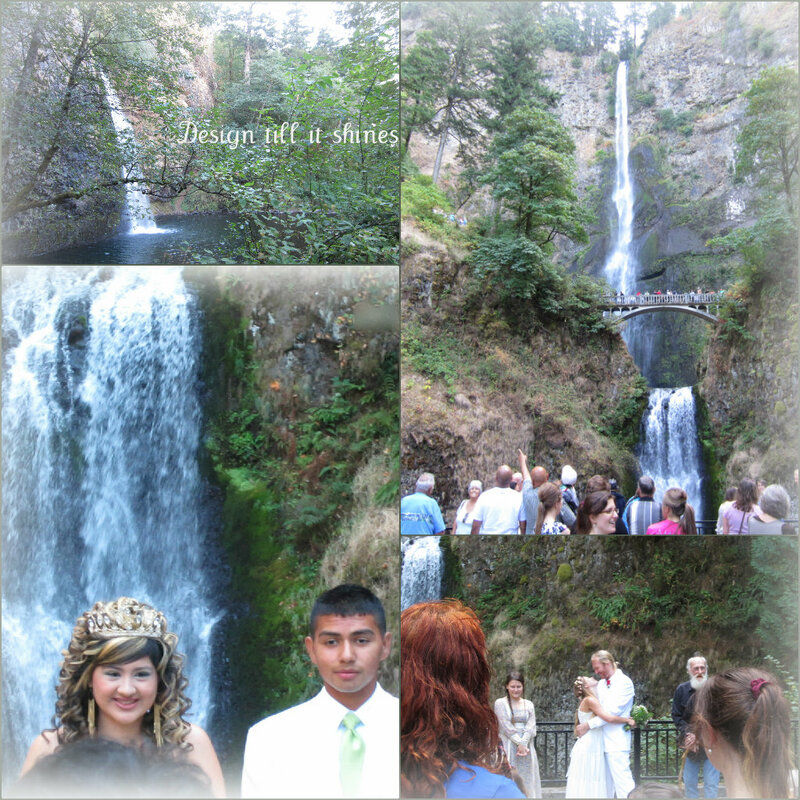 As we approached the falls we saw that a wedding was taking place. It was a bit of a struggle to find an opening to take some pics, but I managed to get a few. I love the roar of the waterfall, and with that for a backdrop I can see why this is a highly desired place for a small wedding. 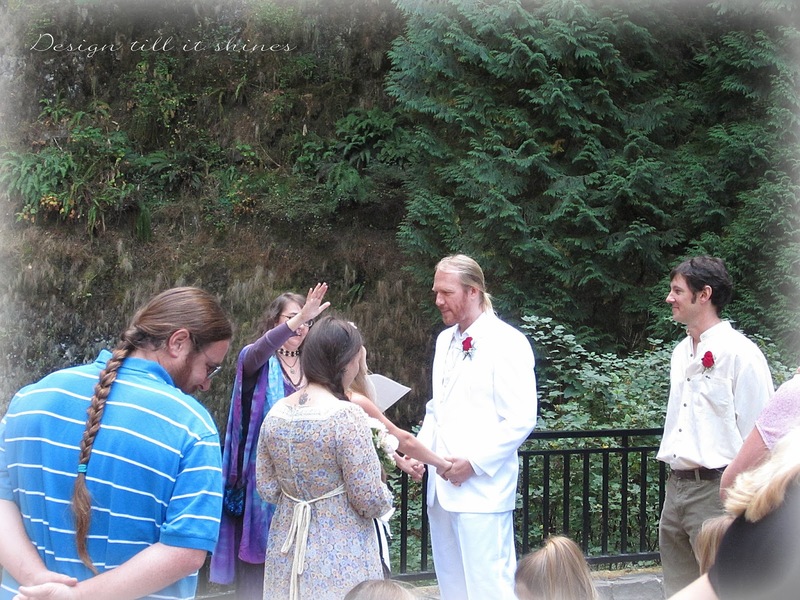 So with some invited guests and a few friendly strangers looking on, they held a brief ceremony. Notice the groom and the best man in white, on the right. I still couldn't get a view of the bride, but these pictures came out so sweet. So unexpected to see a wedding here. 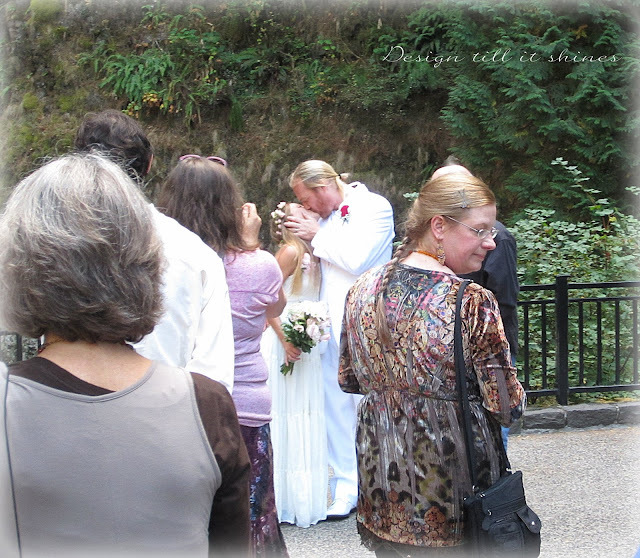 The lovely bride and groom sharing a sweet kiss. 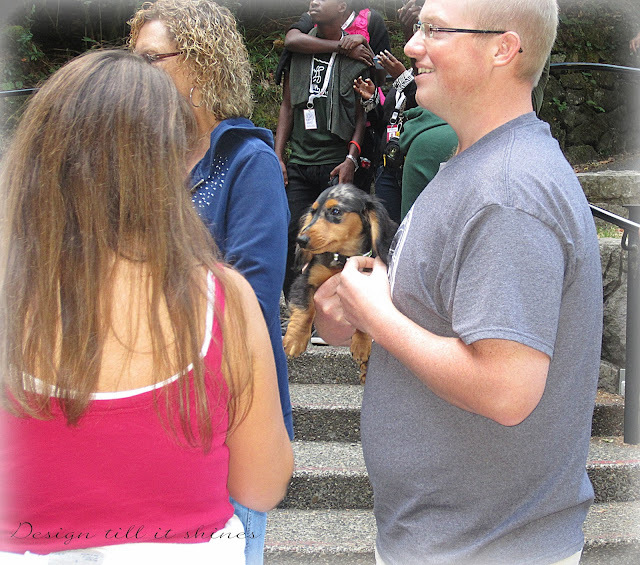 Even the sweet doxie was moved by the ceremony! The lovey dovey pair look adoringly at each other. The maid of honor looks a wee bit embarrassed and the older man looks quite amused. I also enjoyed the farmhouse style clothing and the overall old fashioned feel to this wedding. Quite charming! The friendly strangers enjoyed the wedding as well! Then another surprise. Right after the ceremony a young girl, looking like a princess, arrived with her male escorts for some pictures. 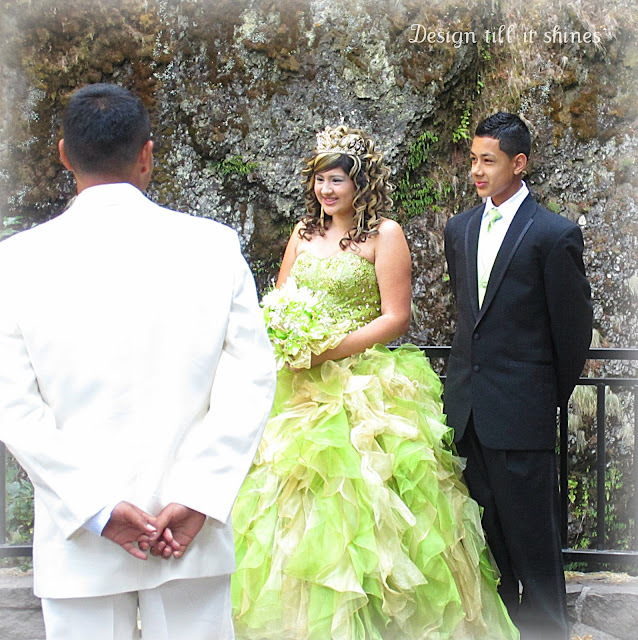 I wasn't able to find out what they were a part of, but her dress and flowers were beautiful. I loved the matching green ties on the guys as well. 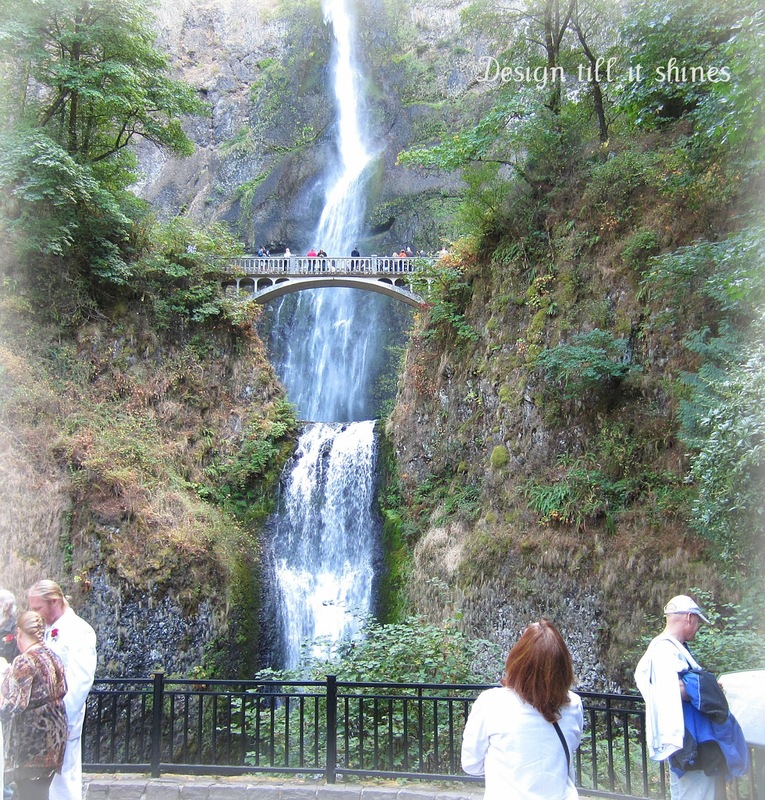 Multnomah Falls provides a beautiful background for a princess. It was hard to find an open view to take this picture, but at the last minute I found one. Lovely crown and earrings! 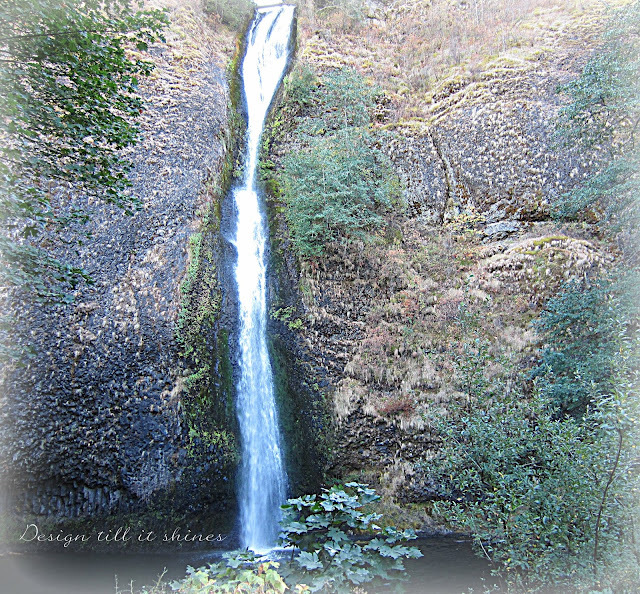 We also visited some smaller waterfalls in the Columbia River Gorge scenic area. 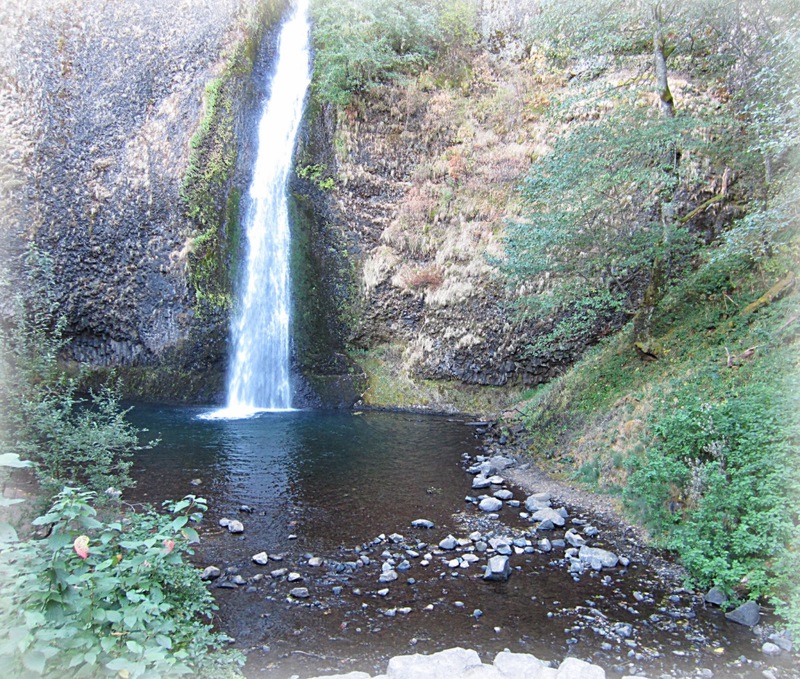 This is Horsetail falls, named because of its horsetail appearance. There are several other falls in this area, all unique and you can find out more by visiting Columbia Gorge waterfalls site. Although these falls are much smaller than Multnomah, they are so fun to visit. It's so quiet and peaceful with only the sound of rushing water. These pictures don't even come close to showing the beauty of this area. 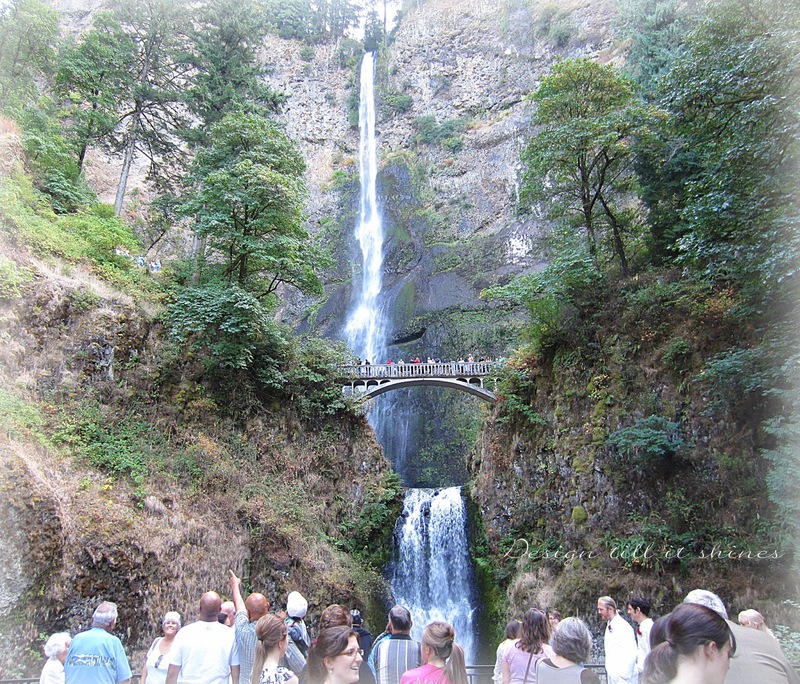 A few more pics of Multnomah. Hubby walked the trail so he could stand on the upper bridge. It's a great view from up there. Hopefully we will find some time for a visit again this year. We enjoy all the scenic beauty this region offers. If you want to see my previous post of our visit to the Oregon coast and the sea lions check here. I hope you enjoyed this quick little trip to the waterfalls. Thanks for visiting! Beautiful scenery ... love the peaceful sound of waster falls. Thanks for sharing your trip. Audrey Z. @ Timeless Treasures. Thanks for stopping by with a nice comment. what an amazing waterfall. Gorgeous. and a stunning backdrop for a wedding and photos. 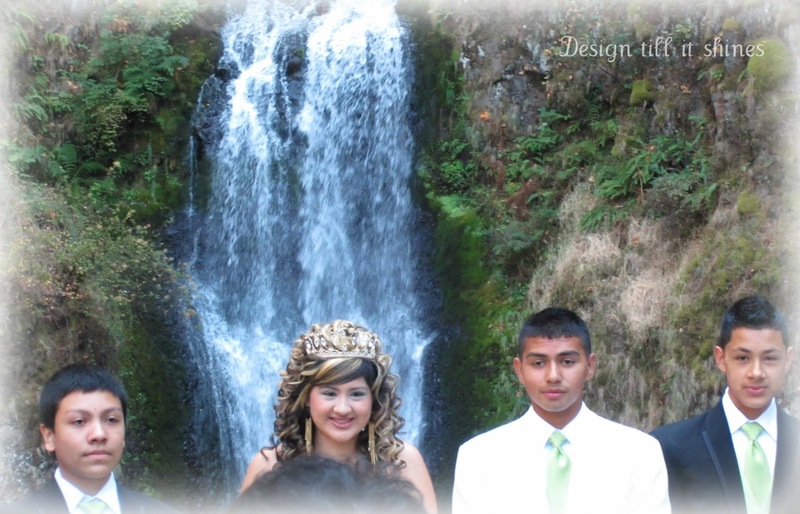 The waterfalls are gorgeous!!! What a fun bonus to your hike. What a gorgeous spot! 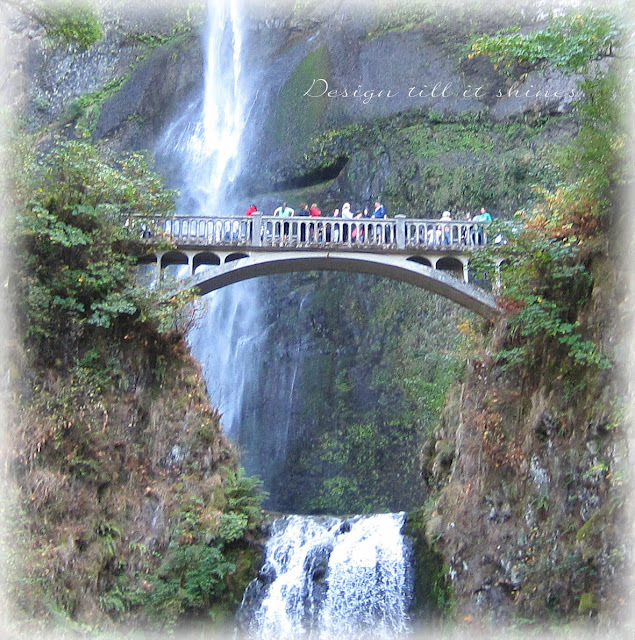 No wonder so many people want their photos and treasured memories to happen there! Lovely photos.